Dive sites around the world are like fingerprints. They are unique! No two wrecks or reefs are alike and even local conditions can change within hours. Wherever you decide to dive you should speak to local professionals who understand the hazards involved at each dive site. Whenever possible take a dive with one of these groups so you can get first hand insight of what to be aware of. Beginners are often a little nervous especially with their first few dives. But there is no need to worry. Your scuba diving instructor will only allow you to dive dive sites which are suitable for your experience level. If you are learning to scuba dive in areas such as the Caribbean you will be able to try reef dive sites in without too much difficulty. 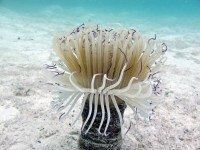 Recreational divers are hobbyists and part-time divers who like to grab a dive when on vacation. Many recreational divers have already passed their Open Water or equivalent course and are now able to try out various kinds of dives once the dive school, center or shop are happy that you have sufficient experience. Remember to keep your C-Card with you as without it professional companies will not allow you to dive. With a number of sanctioned dives under your belt recreational divers will be able to experience a number of dive types including wall dives as long as they do not go down to deep. Advanced divers pretty much have the world in the palm of their hands when it comes to dive sites. Experience will tell them what they are capable of and by now should be able to sniff out a bad diving operation before they get under the water. Advanced divers will be able to discover fantastic dive sites anywhere in the world without too much of a problem. Specialist divers are scuba divers who have passed technical courses which enable them to go places and do things nobody else can. This can include ice diving, cave and cenote diving and nitrox diving. 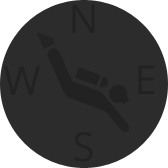 We have included interactive wind charts so you can see the current wind conditions on the Dive Shop pages and will be adding them to the Dive Sites pages shortly. If there is any information you would like to see on scubadivingscool just let us know and we will do what we can to implement a solution.